Many people have been displaced by major dam projects in the country. A bigger threat, however, lies in the ageing dams waiting to collapse. - Jawaharlal Nehru, speaking to villagers who were to be displaced by the Hirakud Dam in 1948. A resident of Balbaspur in the Sambalpur district in Odisha, 40-year-old Dina Krishna Das puts the onus of his miserable life on the Hirakud dam project that displaced his forefathers who were successful farmers. The present generation, comprising Das and his family, has been reduced to being daily wage workers. “I lost my land and property because of the Hirakud dam project. I am still waiting to get full compensation for the loss. Government officials rarely come here now, and it seems no one can fix our problems,” says a disappointed Das. India is the third largest dam builder in the world with more than 5,100 large dams built to date. Since 1947, the construction of 4,300 large dams has displaced more than 4.4 million people across India. There are thousands of such displaced people struggling to lead a decent life. Sample this. The construction of the Hirakud dam, the oldest dam in the country, has displaced more than 1.5 lakh people. The Bargi dam in Madhya Pradesh has affected 162 villages in the districts of Mandla, Seoni and Jabalpur and have submerged about 82 villages completely. Of the 26,797 hectares (ha) of land submerged, 14,750 ha were ownership land, 8,478 ha were forest land and 3,569 ha were other government land. The 7000 families displaced include tribals (43 percent), SC (12 percent), OBC (38 percent) and others (7 percent). The Sardar Sarovar dam construction has displaced more than two lakh people in Gujarat, Maharashtra and Madhya Pradesh. In 1979, Narmada Waters Dispute Tribunal (NWDT) was constituted under India's Inter-State Water Disputes Act of 1956 following a dispute between the participating states about the mode of use of water from the Narmada river. That tribunal sat for 10 long years, but had no time for consultation with the affected people. There is a new threat to the lives of people in the form of ageing dams ready to collapse anytime. The average life expectancy of a dam is 50 years in a technologically-advanced country like the United States of America. In a country like India, there are more than 100 dams which are over 100 years old, and more than 500 large dams which are 50-100 years old. It means that the life expectancy of most of the dams in India has been completed. As per the survey conducted by the irrigation department of Maharashtra in 2015, one third of the dams in the state needs urgent repair. Of the 1,231 important dams in Maharashtra, 403 have major defects. The 116-year-old Mullaperiyar dam in Kerala is one among the oldest dams in India. The people who live around the dam fear it could collapse any time. This dam was constructed to harness the westward-flowing Periyar river and divert it to the eastward-flowing Vaigai river in Tamil Nadu to meet the water needs of the people around the Vaigai. The state of Kerala believes this ageing dam could collapse anytime and has been raising the issue for more than two decades now. But the Tamil Nadu government, the direct beneficiary of the dam, maintains that the dam is safe to function. The TN government fought a battle in the court on Mullaperiyar dam safety and won. The Supreme Court held the dam safe in 2014. The people in Kerala are worried and for the right reason. The country does not have a history of treating its displaced fairly. In the past, the monetary compensation paid to those displaced by large dams was not enough to sustain their livelihoods. For example, many of the displaced villagers of the Bargi dam have spent the entire amount for their survival over the years since the money wasn't enough to buy new agricultural lands. The tribals displaced by the Hirakud, Bhakhra, and many other dam projects in India are still struggling to get the paltry compensation promised to them at that time of commissioning of the project. A study conducted by Gramya resource centre for women provides many similar examples of broken promises of compensation related to dam projects in India. You can read the report here. The lame assurances of the government had led to tragic consequences. For example, most of the displaced farmers of the Bargi dam have purchased rickshaws with that money and many of the displaced of other large dam projects have become labourers. The displaced people of Hirakud dam also have similar experiences. 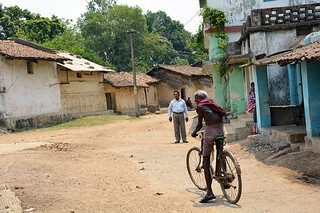 In 2007, the government of India formulated a national policy for rehabilitation and resettlement which is now replaced by the rehabilitation and resettlement bill, 2012. The bill was passed on August 29, 2013 in the Lok Sabha and on September 5, 2013 in the Rajya Sabha. It is expected that the current bill would bring transparency in rehabilitation process. 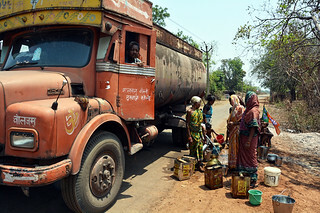 “In the case of Sardar Sarovar or Hirakud or any other large dam projects in India, the rehabilitation provided by the government is substandard, the land that is provided to the oustees is often uncultivable or waterlogged,” says Kailash Awasia, an activist of Narmada Bachao Andolan in Barwani, Madhya Pradesh. “It is no secret that the displaced people in India are leading a pathetic life. The oustees are just demanding adequate compensation, rehabilitation, employment opportunities, agricultural land and other facilities to lead a decent life,” says Hariharnath, an oustee of the Hirakud dam. Apart from the potential hardships of the displaced, ageing dams pose many other threats as well. The reservoir-induced seismicity (RIS) from the weight of the reservoir has resulted in earthquakes in various parts of the country. Of the 75 cases of RIS reported worldwide, 17 have been reported from India. The dams get severely affected from such earthquakes. “An earthquake of magnitude of 6.3 caused by Koyna Dam in India in 1967 killed approximately 180 people,” reports International Rivers, an international organisation working with the global network of dam-affected people, grassroots groups, environmentalists and human rights advocates and others. Many water experts from two leading NGOs working on water-related issues in India--South Asian Network on Dams, Rivers and People (SANDRP) and Manthan Adhyayan Kendra--believe that several Indian dams are too old and have become increasingly unsafe. “Lots of major dam sites are located in the area that are geologically more prone to earthquakes,” says a study conducted by the Centre for Earthquake Engineering (CEE), Hyderabad in 2013. The study elaborates that 57 percent of the land mass covered by dams in India lies in the zone where the possibility of earthquakes is high due to the geomorphologic conditions. The earthquake could affect the dam structures by creating cracks in the dam. There is a need for conducting a technical study of the behaviour of the dam structure in crises situations. “The dam break analysis of most of the large and medium dams in India is yet to be assessed in a scientific manner by the government,” says Karunakar Supakar, retired chief engineer of the Hirakud dam project. It is still not clear what the scale of devastation would be if any of these large dams break. “It is a disturbing situation that the agencies that are responsible for our large dams do not even know the names of the rivers on which they are located. Without the names of the rivers and locations of the various dams on specific rivers, we cannot even start looking at the crucial issues like dam safety, cumulative social and environmental impacts, hydrological carrying capacity and optimum utilisation of the storages created behind the dams. We clearly have far to go before we know our dams and rivers well,” says Himanshu Thakkar, an expert on dams and rivers who works with SANDRP.